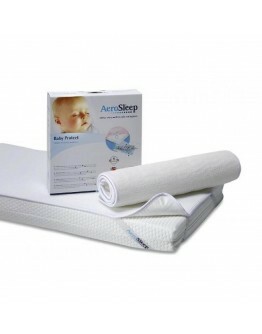 Thanks to Aerosleep his unique mattress protector, your baby can sleep safely and hygienically throughout the night. An open 3D structure ensures that babies can always breathe freely and not get in their beds. An absorbent layer absorbs all moisture. A maximum air circulation ensures that that moisture evaporates quickly. 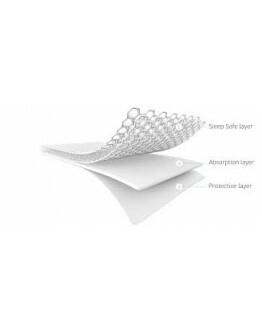 The bottom layer is waterproof and brings stains and bacteria on the mattress. 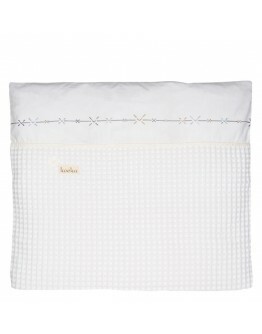 The mattress protector is washable at 60 ° C. A too heavy fitted sheet can prevent good..
Koeka duvet cover Lots of kisses whiteLet your baby sleep under this beautiful and soft Lots of kisses duvet cover. 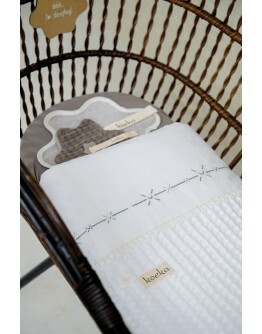 This cover is made of a waffle motif and is finished with embroidered kisses.Looking for an original birth gift? With this gift from Koeka you will certainly score! 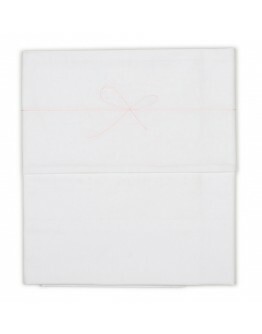 The duvet covers are available forcradle - 80x80 cm Material 100% cotton Washable in the machine at 30 ° C - not in the tumble dryer..
Koeka sheet sweet bow pink Let your baby sleep under this beautiful and soft Sweet bow sheet. This bed for cradle or bedstead is finished with a pink embroidered bow. 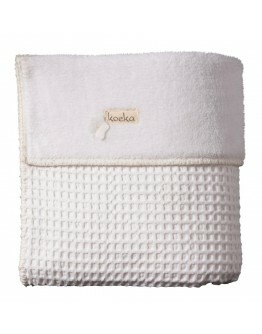 Nice to combine with the blankets from Koeka. Looking for an original birth gift? 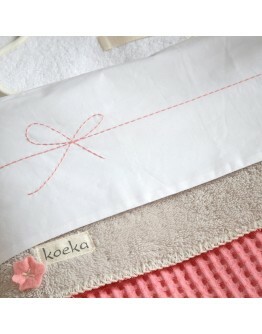 With this gift from Koeka you will certainly score! The sheets are available in different sizes cradle - 80x100 cm bed - 110x140 cm Material 100% cotton Washable in the machine at 30 ° C - not in the tumble dryer..